Afternoon Tea – how civilised! And what better way than to have it at this London landmark, The Cafe Royal? 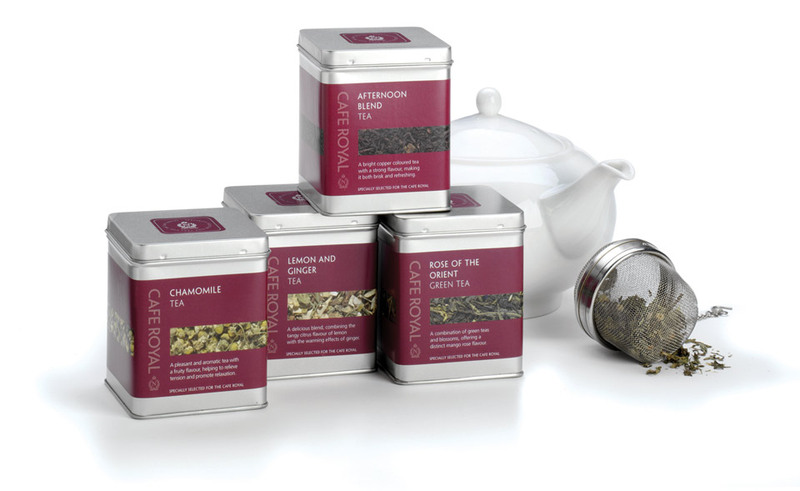 To create new packaging for a range of afternoon teas. People wanting to rest from the hustle of central London and enjoy a relaxing afternoon beverage in an elegant environment. They want a choice of fine teas that are made ‘with good leaves in the pot’ and not a tea bag in sight. The teas here have been carefully selected and will be made using the correct methods. Cafe Royal – good service and fine foods.